On the basis of songs or songlike themes from three periods of Nielsen’s career I try to show how Nielsen’s harmonic progressions become simpler while displaying a more refined complexity. I do this on the basis of the theories of the Danish scholar/composers Jorgen Jersild and Jan Maegaard which are, in various degrees, based on Riemannian analysis. The two Danes thus represent an alternative neo-Riemannian approach to harmonic analysis. This approach was developed from 1970 to 1989, the very same years in which Erno Lendvai, David Lewin, Deborah Stein and Harald Krebs wrote their respective groundbreaking works. Even though Jersild’s and Maegaard’s theories were developed independently of these writers, their content communicates with the content of their theories. And even though a theory of foreground harmonic progressions like Jersild’s is seemingly as opposed as possible to a Schenkerian middleground-based harmonic approach, they do actually, in some regards, have something in common, just as in other regards they supplement each other perfectly. I try, through the analyses of Nielsen’s music plus a few other examples (Schumann, Liszt and Wolf), to show how the theories of these above mentioned many writers and others, may be integrated into the two Danish theories. 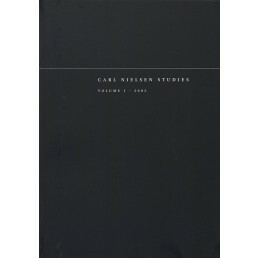 In discussing analytical theories the text is especially conversant with two recent books on Nielsen, Anne-Marie Reynolds’ The Voice of Carl Nielsen (2010) and Daniel Grimley’s Carl Nielsen and the Idea of Modernism (2011), as the two main analyses refer to analyses in Reynolds and Grimley respectively.